The Pennsylvania Superior Court has finally had a chance to weigh in on a Post-Koken issue of importance--whether or not it is a denial of due process to a Plaintiff in a Post-Koken case not to identify the UIM carrier as a Defendant to the jury. In the Superior Court's decision yesterday in the case of Stepanovich v. McGraw and State Farm, No. 1239 WDA 2013, No. 1296 WDA 2012 (Pa.Super. Oct. 15, 2013 Ford Elliott, P.J.E., Ott, J., Musmanno, J. )(Opinion by Ott, J. )(Concurring and Dissenting Op. by Ford Elliott, P.J.E. ), the court found no due process violation by the trial court's decision to allow the Post-Koken trial involving a tortfeasor defendant and a UIM carrier defendant to proceed in front of a jury without mention of the UIM carrier as a party Defendant. This Post-Koken third party/UIM matter proceeded to a jury trial in Allegheny County identified to the jury as "Stepanovich v. McGraw" and without reference to State Farm as a UIM carrier Defendant even though a defense counsel for the third party tortfeasor and a defense counsel for the Defendant UIM carrier, i.e., two defense attorneys, were allowed to participate in all aspects of the trial from Voir Dire to Closing Arguments. The trial court noted that both defense attorneys could participate so long as there was no duplication in the questioning of the witnesses. All parties were precluded from mentioning insurance during the course of the trial. This matter involved a Plaintiff-pedestrian who was struck by the tortfeasor's Defendant's vehicle while cross at an intersection. The Plaintiff contended that the tortfeasor Defendant was speeding and ran a red light thereby caused the accident. The defense contended that the Plaintiff attempted to walk across the intersection against the light and outside of the crosswalk area and thereby caused the accident. The jury returned a 10-2 defense verdict in favor of the tortfeasor Defendant, McGraw, after a finding that the tortfeasor was not negligent. The verdict was molded to reflect a verdict in State Farm's favor as well as the UIM carrier. At the Post-Trial Motions stage, the trial court judge, Judge Timothy P. O'Reilly, found that his own handling of the trial in this regard resulted in a Due Process violation to the Plaintiff in light of the failure to identify State Farm as a party Defendant in the matter. For prior Tort Talk blog posts on this case at the trial court level and to view the trial court's Rule 1925 Opinion explaining its rationale, click HERE and HERE. As noted, on appeal the Superior Court reversed the trial court decision allowing for a new trial and remanded the case with the direction that judgment be entered in favor of all Defendants. The Stepanovich court noted that references to Pa.R.E. 411's prohibition against the mentioning of insurance at trial in this case was misplaced as that Rule specifically refers to the preclusion of any mentioning of the availability liability insurance, and does not reference UIM insurance as was at issue in this case. As such, the court noted that a course of action identifying State Farm as the UIM carrier would not "run afoul" of Pa.R.E. 411. The Superior Court went on to note that, even accepting for purposes of argument that the Plaintiff was entitled to inform the jury of State Farm's participation in the trial, the Plaintiff was still not entitled to the relief requested of a new trial as neither the Plaintiff nor the trial court provided any legal support for the finding of a due process violation in this regard was per se prejudicial. Op. at p. 8. The court found that the was no showing of prejudice as required by Pennsylvania law before a due process violation could be found and relief granted. Accordingly, it was held that the failure to identify State Farm as a Defendant at trial, in and of itself, was not reversible error that would require the granting of a new trial. Op. at p. 8-9. Rather, in order to prove prejudice, the Plaintiff would have to show that "but for the jury's ignorance of State Farm's identity, it would have found McGraw negligent." Op. at p. 9. The Superior Court in Stepanovich found that neither the Plaintiff nor the trial court established a legal or logical connection between the two. Op. at p. 9. Stated otherwise, the mere possibility that the Plaintiff could secure UIM benefits from his own carrier did not dictate a finding that the tortfeasor Defendant was liable. Id. Therefore, the Superior Court concluded, the jury's verdict that the tortfeasor Defendant was not negligent cannot be said to have been dependent upon or connected to the identity of the UIM carrier. Interestingly, in footnote 5, the Superior Court noted that the State Farm policy required any UIM claims against it be tried in the same trial as the trial against the third party tortfeasor. The Superior Court noted that it "[t]herefore,..assume[d] that State Farm, and other insurers who have a similar provision, have considered how to proceed in this circumstance without causing prejudice to the alleged third party tortfeasor." Op. at p. 8. In her concurring and dissenting Opinion, President Judge Emeritus Kate Ford Elliott joined in the majority's reasoning that Pa.R.E. 411's prohibition against the mentioning of liability insurance was inapplicable in this UIM context. President Judge Ford Elliott however dissented from the ultimate ruling and felt that the trial court's decision to grant the Plaintiff a new trial should have been affirmed. President Judge Ford Elliott reasoned that it was the trial court judge who was the one who sat through the trial and who had determined that the "double-teaming" of the Plaintiff by the defense counsel was prejudicial and that, on a re-trial, he would structure the trial differently. President Judge Ford Elliott felt that this exercise of discretion by the trial court judge should not be disturbed and that his decision to allow for a new trial should have, therefore, been affirmed. Anyone wishing to review the majority Opinion in the Stepanovich case may click this LINK. President Judge Emeritus Ford Elliott's Concurring and Dissenting Opinion can be viewed HERE. I send thanks to Attorney Mark A. Martini of the Pittsburgh law firm of Robb Leonard Mulvihill, LLP for bringing this decision to my attention. Commentary: At least two things can be gleaned from a reading of the Pennsylvania Superior Court's decision in the Stepanovich case. First, Pa.R.E. 411, which precludes the referencing of liability insurance at trial, cannot be relied upon to support an argument that references to UIM insurance should be precluded. Secondly, the Stepanovich decision stands for the proposition that the failure to identify a UIM carrier as a Defendant at trial is not, in and of itself, prejudicial or reversible error that would require the granting of a new trial. As to the first issue finding that Pa.R.E. 411 does not serve to preclude the mentioning of a UIM carrier at a Post-Koken trial, it is noted that there is caselaw (i.e. common law), however, that can be referenced in support of an ongoing and viable argument for the continuing preclusion of the mentioning of other forms of insurance at such trials as being prejudicial to the defendant as distracting the jury from the central issues of liability and damages. See Henery v. Shadle, 661 A.2d 439 (Pa.Super. 1995); see also Price v. Guy, 735 A.2d 668, 671-72 (Pa. 1999); DeVita v. Durst, 167 Pa.Cmwlth. 105, 647 A.2d 636 (1994); Bonavitacola v. Cluver, 619 A.2d 1363, 1370 (Pa.Super. 1993); Greenwood v. Hildebrand, 515 A.2d 963, 968 (Pa.Super. 1986). Such evidence of insurance issues may also arguably be precluded under the more general argument that any alleged probative value of such evidence is outweighed by the danger of prejudice. See Nigra v. Walsh, 797 A.2d 353, 360 (Pa. Super. 2002) citing Pa.R.C.P. 403. For a decision at the opposite end of the spectrum entirely disagreeing with the above commentary and finding that essentially any and all insurance information should be allowed in a Post-Koken case so as to have a jury fully informed on all of the issues presented, see Federal Middle District Court Judge James M. Munley's decision in the case of Noone v. Progressive Direct Ins. Co., No. 3:12CV1675 (M.D.Pa. May 28, 2013 Munley, J.). 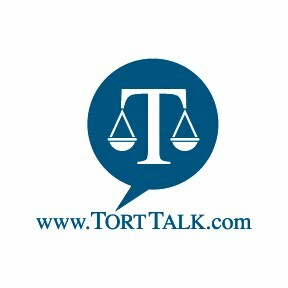 To view the Tort Talk post on that case along with a link to that decision, click HERE. Seemingly, while the Stepanovich decision appears to answer some questions, it still unfortunately leaves open, and provides little, if any, concrete guidance on the main question of how Post-Koken trials should be handled in terms of whether or not to identify the presence of the insurance company defendant to the jury. It remains to be seen if the Stepanovich case will proceed forward in the appellate process.